Is Kestell to become a city? 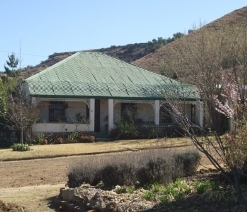 In the past month the owners of eleven farms in the vicinity of Kestell have received letters from the municipality to inform them that the Mayoral Committee of Maluti-a-Phofung municipality took the decision, on the 11th of December 2009, to start negotiations to buy their properties. These farms will be bought with a view to develop the land into thirty thousand plots. These farm owners were seriously unsettled and concerned, specially as some of these farms have been the property of their families for nearly a hundred years. The chosen farms include productive commercial farming and industrial concerns. Mr C. Fouché (Town Planner) from the municipality has visited these farm owners and instructed them that, should they refuse to sell, they will surrounded by RDP housing and, as a last resort, that their farm may be expropriated. One farm owner has questioned why the land bought at the time of the establishment of the Qwa-Qwa homeland from local farmers and presently lying fallow and untended is not being used for this development. Thirty thousand erven equates to an estimated 180 000 residents. 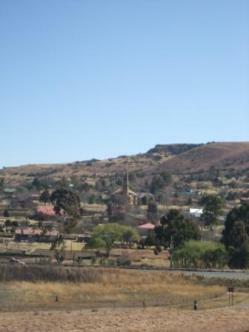 The total population of the area in the jurisdiction of Maluti-a-Phofung is currently 380 000. On what grounds is this absurd development based? The estimated cost for a development of this magnitude is R 15 million. Where will the funds for the land acquisition and for the development come from? On being questioned, Mr Fouché said that the buyout of the farms was approved by the Premier and that funding will come from the Provincial Department of Human Settlement. Mr Fouché says that the plan is to acquire the land in the current year, thereafter further planning and investigations will proceed. It is planned to build industries and business premises as well as middle- and high-income housing including a golf estate where plots will sell for prices as high as R 1 million. Some public and government offices will also be decentralised to the new area. The Mayoral Committee has no delegated powers to make this decision to obtain land. This power is vested in the Municipal Council. Neither this decision nor any plan have yet been submitted to the Municipal Council, whereas municipal officers have already gone ahead to start negotiations and to effectively force farm owners to declare themselves ready for negotiations. The revised Spacial Development Framework has not yet been tabled in the Municipal Council and according to officials will hopefully be ready in May for the public participation process to begin. This development is nowhere included in the Integrated Development Plan (IDP) for Maluti-a-Phofung. The Municipality is already in dire financial straits with an outstanding debit book of R 550 million and is in no condition to provide basic services, nevermind to undertake such a development. Maluti-a-Phofung already has the highest unemployment figures in the Free State. 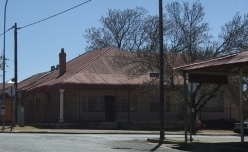 As far back as eight years ago the establishment of 600 residential plots was approved for Westerson in Harrismith and has not yet been completed because of the lack of funds for the development of infrastructure for it. A similar development, going back four years, was approved for the old township of Schoonplaas and development there has not started yet. The Municipality is failing to develop 3 200 low to high income housing units in the Harrismith area owing to a shortage of funds. Private development of approximately 500 plots is in progress, but interest is minimal. The water supply to Kestell and Tlholong is already under great strain and is often interrupted because of infrastructural shortcomings. 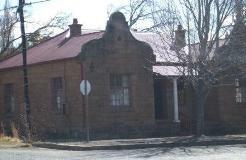 Job opportunities for the residents of Kestell and Tlholong are extremely limited. 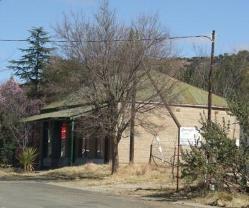 The Harrismith Logistic Hub has been struggling to get off the ground for the past five years. This enormous development is expected to create a few thousand job opportunities, but the source of its funding is still uncertain and its eventual success is extremely doubtful. There are countless factories in Phuthaditjhaba and Tshiame that have been standing empty for many years. Is the Premier going to be responsible for the bulk infrastructure development that must necessarily accompany a development such as this? Is the Premier going to accept responsibility for its maintenance? Or is this mere posturing without substance? On what premises are the viability and affordability of this development based? On what is the demand for such a scheme based? Or is it as Kevin Coster states in the movie "Field of Dreams" a matter of "Build it and they will come."? Is this mindless plan intended for Kestell alone or are other towns and residents going to be similarly unsettled and distressed? Communities are disturbed and unsettled with such developments while basic service and the maintenance of existing infrastructure are sadly neglected. It is high time that Provincial Government and Maluti-a-Phofung municipality should start to respect the realities and the needs of the community, to fulfill their responsibilities and to deliver on their priorities. As an example: in Harrismith a concrete palisade is being erected at inordinate expense around the cemetery while tar roads are falling in total disrepair with pot-holes and large damaged sections. Harrismith could be an important gateway during the FIFA World Cup, but the impression created is that of a town that cannot maintain its basic infrastructure. The DA expresses its concern regarding the alleged threat of expropriation, should farm owners not be prepared to sell their land.